You’re ready to surprise the kids with a trip to Disney World — but where do you start? With a wonderful world of choices, planning a Disney trip can seem overwhelming. Get the most out of your Disney vacation with these tips. Don’t delay: Many popular experiences and restaurant reservations must be booked 180 days in advance. Think Ahead - This vacation isn’t a fly by the seat of your pants kind of outing. There are many more components than your standard vacation. Start researching and planning well in advance. Be Flexible on Dates - Disney World is most crowded when school is out. September and late January to early February are their slowest times. The week between Christmas and New Year’s is the busiest week of the entire year. Plan for Park Attendance - Every Disney Park has a roughly 100,000-visitor limit to help ensure safety and enjoyment of the parks. Once that level is met, entry restrictions are put in place until sufficient numbers of guests leave. No one wants to spend vacation waiting around for a park to re-open. This is an important tip to be mindful of especially if you are planning to attend during winter holiday break. Watch Free Vacation Planning Videos - Check out online videos for everything from restaurant reviews to hotel advice. Head to disneyplanning.com for free vacation planning DVDs and videos, especially if you’re a Disney newbie. Consider Using an Authorized Disney Vacation Planner - Using a Disney travel agent could be a great way to reduce your planning time and be easier on your wallet. Bonus: It doesn’t cost you anything. Look online to find a specialized Disney travel agent. Don’t Over Do It - Once you figure out how many days you will spend in Orlando, be sure to build in downtime during your vacation. Depending on your group, consider a down day every other day or every two days. Spend time relaxing by your hotel’s pool to recharge. Download the Disney App - Download the My Disney Experience app on your smart phone. It will keep you up to date on wait times at rides, location/schedules of favorite characters and times for parades and fireworks. This free app will be a lifesaver for your family. Familiarize yourself with it before your trip. Consider Single Day Pass or Multi-Day Pass - Single Day Pass is not the best deal. Discounts begin on tickets for two days or more, so Multi-Day Pass is a better deal. Some of the best bargains for purchasing tickets come through hotel packages. Do your research before buying park tickets online. Splurge for the Park Hopper - A Park Hopper ticket provides access to multiple theme parks on the same day. Consider spending the first part of a day at one location, and then in the middle of the day, your family can head to the hotel for a quick meal or rest. After that, you can hit another park at the end of the day. It’s one strategy to consider, but Park Hoppers cost more than Single Day Passes. Get Free Entry - Children younger than 3 years old don’t need a ticket. Harness Magic Bands - As a guest at one of the 20-plus Disney Hotels, you will receive complimentary high-tech Magic Bands, which are all-in-one devices. They act as your Disney Resort hotel room key, theme park entry tickets and Fast Pass tickets. 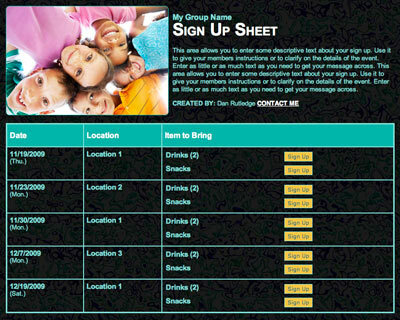 You can also charge food and merchandise purchases to your hotel room using your band. These cool bands will arrive four weeks before your trip, and family members can request their favorite color. Nab Extra Time - Guests staying at Disney-run hotels are admitted during Extra Magic Hours that fall outside of times available to the general public. Plan for Small Guests - You can reserve a Disney crib for your room. Bed guardrails are also available on request. Think About Proximity - The Contemporary Resort is within walking distance to the Magic Kingdom, and some rooms make it easy to watch the nightly fireworks display. Ask for one! Opt Out of the View - Don’t pay extra on your hotel room for an upgraded view. Most people do not spend enough time in them to make it worth the extra money. Go Hands Free - You can arrange to have your park souvenirs delivered to your Disney hotel instead of carrying them around all day. Drive In - If you choose not to use Disney’s transportation system, you receive complimentary standard parking at all theme parks for the length of your hotel stay. Eat Out - With certain Magic Your Way Vacation packages, you can choose one of the dining plans, which offer the convenience and flexibility of prepaid dining at more than 100 locations throughout Walt Disney Resort. Plan for Height Restrictions - Research height restrictions online for all the parks you are planning to attend. Know before you go which rides and slides will work for your children. Doing this will help prevent disappointments. Use Your Fast Pass Wisely - When you purchase a park ticket, Fast Pass is a complimentary benefit that allows you to make three reservations per ticket to an attraction by signing up for a specific date and time. Purchase your tickets in advance, so your family can use this timesaving tool. Sign up for Fast Passes online or via the My Disney Experience App. Make Fast Pass Reservations Early - When you stay at a Disney hotel, you can make Fast Pass Selections up to 60 days before arrival. If you are not staying at a Disney hotel, you can utilize your Fast Pass up to 30 days in advance. Earn Three Additional Fast Passes - After using your first three Fast Passes, you can sign up for three more via the My Disney Experience App regardless of where you are staying. Know the Best Rides for Fast Pass - Utilize the line-skipping system for attractions that constantly have the longest lines. Magic Kingdom’s Splash Mountain, Hollywood Studio’s Toy Story Midway Mania and Epcot’s Frozen Ever After, Test Track and Soarin’ are the rides with the longest lines. Remember the Best Ride to Take a Break - Walt Disney World Railroad allows guests to stay aboard as long as you want. One round takes about 25 minutes — if your feet are still throbbing, then stay on for another ride. Schedule Photo Ops - Look on the My Disney Experience app to find out times and locations your kids can meet their favorite characters, and then plan accordingly. Typically, the lines are shortest in Disney’s Animal Kingdom and longest in the Magic Kingdom. You are able to take photos of your children with the characters using your own camera. Plan for Popularity - Frozen’s Anna and Elsa are particularly sought after characters. You can find them in Epcot’s Norway Pavilion — also the location of their popular ride, a gentle boat ride. Consider using one of your Fast Passes here because of the long lines. Pick a Parade Spot - All parades start at Frontierland and end at the front of the park. These two spots are ideal places for parade viewing. Many parkgoers think the night parades are better since floats are illuminated and you are not sitting out in the heat of the sun. Don’t Get Trapped by a Parade - Adventureland and Frontierland are blocked off 30 minutes before parade start times. Check the My Disney Experience App for parade times to avoid getting stuck. Schedule a Princess Makeover at Bibbidi Bobbidi Boutique - Located in Cinderella’s Castle, guests between 3 and 12 years old can get a princess makeover with a costume. The experience lasts between 30 minutes and one hour, and additional costs apply. Reservations can be made up to 180 days in advance. Pirate of the Caribbean Makeovers - Ahoy, matey! Inside Magic Kingdom (at the entrance to Pirates of the Caribbean), guests 3 years and older can transform into a pirate, Captain Hook, an empress or a mermaid. Additional costs apply. 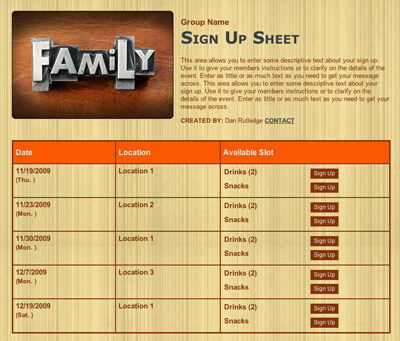 Reservations can be made up to 180 days in advance. Book Sit-Down Meals - Make a daily reservation for a table-service meal. An opportunity to seek refuge from the crowds will go a long way in preserving your family’s energy. A good warm meal while sitting in a climate-controlled environment gets everyone’s hunger satisfied and their feet a break. Book well in advance. Dine with Cinderella - When you book a character meal, characters will come right up to your table. The most popular dining experience is Cinderella’s Royal Table inside Cinderella’s Castle. You can book exactly 180 days in advance starting at 7 a.m. Eastern Standard Time. Set your alarm clock to book your ideal day and time! Book an Early Breakfast - In Magic Kingdom, Cinderella’s Royal Table and Crystal Palace are open for breakfast an hour before the park opens. It’s a great way to get an early start, plus you will have wonderful photo opportunities without the throngs of people. Opt for a Less Crowded Character Meal - There are fewer people and cheaper-priced character meals available just a quick ride on the monorail from the Magic Kingdom. Three excellent ones are Chef Mickey’s in the Contemporary Resort, Supercalifragilistic Breakfast at Grand Floridian Resort and Ohana Character Breakfast at Polynesian Resort. Take the family to one of these character meals to keep the magic alive on a day you’re taking a break from the park. Bring in Food - Disney does allow visitors to bring in outside food. You can save big money by bringing in water, snacks and even lunch. Having a few provisions could come in handy, so you don’t have to wait in a long line to purchase them. Capture Keepsake Moments – Pose like a pro at any of 25 Nikon Picture Spots across Disney Parks. Look for the camera symbol on a Disney map. These iconic locations are slightly away from the crowds and will give you beautiful backdrops for your memorable photos. Don’t be Shy - Ask a Photo Pass Cast Member to take a photo of your family with your camera. They will do it for free! They have good photography skills that could produce a fabulous keepsake for your family. Opt Out of Stroller Rentals - All Disney Parks rent strollers, but they’re expensive and don’t recline or collapse. If you are planning multiday visits, bring your own if you can or buy one when you arrive. A few companies deliver directly to your hotel and are cheaper than the Disney price. Use the Baby Care Center - Each park has a Baby Care Center that is cool and quiet for when a younger one needs to decompress. Changing tables, rocking chairs and high chairs are available for use. Grab ID Wristbands - Guest assistance counters will have plain wristbands available to write your child’s name, allergies, your name and cell phone number. Use these wristbands for the health and safety of your children if you somehow get separated. Be Realistic – Accept that you might not get to do everything the Disney Parks offer. Figure out your top priorities, and head straight to those rides, shows or characters first. Prepare the Kids - Talk about the day in advance, so they know it’s going to take a lot of walking and waiting in long lines. Reassure them it is part of the experience. Get Up and Go - If your family is full of early-risers, then head over to the park early. Each of the four parks opens earlier than the posted times. It’s best to arrive 30 minutes before stated opening times to get a head start. Sleep In - On the flip side, if your family likes to sleep in, consider going later in the day and stay until closing. Using this strategy, your family can enjoy the cooler evenings and see the parks lit up at night. As the evening ticks by, the crowds will be dwindling. Shop Late - Shops on Main Street in Magic Kingdom are open up to an hour after the park closes. Do your shopping on your way out. Pack a Towel - Having a towel can be helpful to wipe off a wet seat or dry off from a water ride. Watch the Magic Kingdom’s Fireworks - On top of Disney’s Contemporary Resort, California Grill restaurant is the best place to view the nightly spectacular display. Make advanced reservations and let them know your family wants to dine there during the fireworks. View the Kiss Goodnight Show - At closing time, most guests make a mad dash for the exit. Skip the rush and stop at Cinderella’s Castle for Magic Kingdom’s farewell light and music display set to the tune of “When You Wish Upon a Star.” Let the crowd thin out before you head home. Now you are armed with 50 helpful tips to make your family’s long-anticipated Disney trip a fabulous one. Enjoy the magic! Sara Kendall is a freelance writer and mom of two daughters. 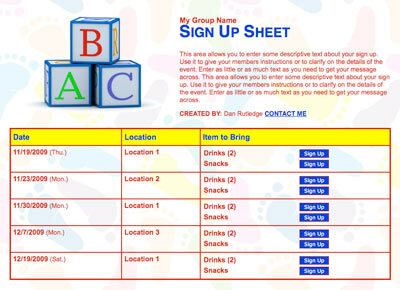 Plan a summer play group with an online sign up. 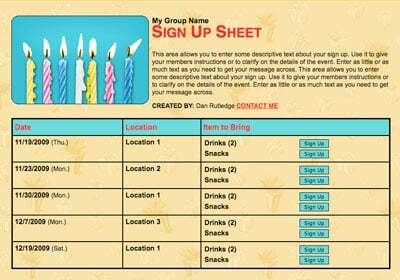 Just wanted to let you know what a HUGE time-saver SignUpGenius has been to me in planning numerous classroom parties and school events as well as some personal social gatherings. It's really a great tool, and I so appreciate you making it available for others to use. 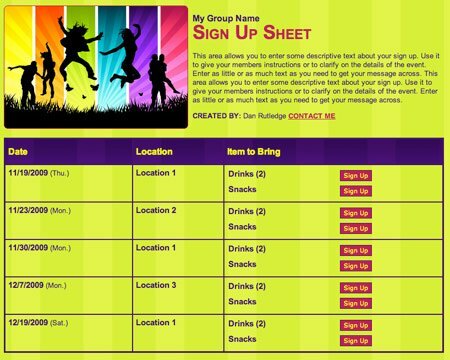 As in your comments, I'm much to busy to be worried about the silly details of coordinating things like snacks and sign-ups, so using this is freeing me up for more important (&fun!) activities. Thank You!!! !